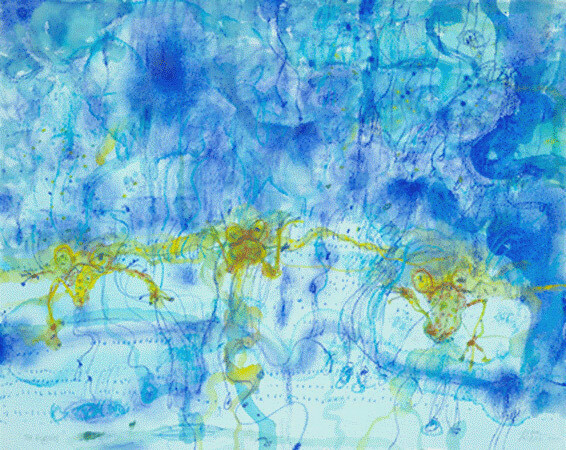 John Olsen Limited Edition fine art print titled “The Big Wet” released late 2010, 65 only made, sheet size 65cmx82cm, selling fast. Lay Buys 12 months welcome at Etching House, 20% deposit. The Big Wet by John Olsen available at Etching House signed and titled by John Olsen 2010.